perception with cutting edge quantum physics. fulfillment, love, and true joy. Quantum Multidimensional Transformation & Energy Healing. Private sessions in person or distance sessions via phone or Skype. Conscious Co-Creation/Self-Transformation & Healing Coaching, Classes, Webinars, and Mentoring. All of your best potentials for health, vitality, a sense of well-being, and a truly authentic, enjoyable, satisfying life exist within the quantum field of infinite possibility and are available to you now. I can help you make the shift. Thank you for your interest, and have a blessed day! Cathy is originally from Baltimore, MD, but has lived in the west for nearly 25 years, settling first in Boulder, Colorado, and then moving to the small mountain town of Westcliffe, Colorado, before moving with her husband and three horses to Casper, Wyoming. 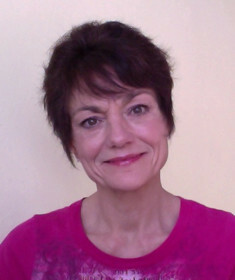 She earned her Bachelor's and Master's degrees in vocal performance at the Peabody Institute of the Johns Hopkins University in Baltimore, and then spent years as a self-employed business woman in sales and marketing before turning her attention to her full time career as a transformational practitioner and conscious co-creation coach and teacher. You can read more about Cathy's life, background and work on her website. About You and Your Business: Intuitive Quantum Transformation and Energy Healing. Individual sessions in person or at a distance by phone or Skype. Conscious Co-Creation/Self-Transformation and Healing Coaching and Classes. I see clients in my Casper, Wyoming office, but also specialize in remote sessions with clients across the nation by phone or Skype.